Foto de Charlie! Gaudint d’un bany al ciclocròs de Manresa del passat Diumenge 22. Cursa la de Manresa on vaig patir les mancançes dels pedals shimano xtr m980, uns pedals genials en la majoria de les condicions excepte amb el fang, on no funcionen. A Manresa vàrem gaudir d’un bon circuit, on vàrem gaudir, l’únic però seria l’addició d’aigua per fer el circuit més “dificultós”. La temporada de cx la vaig clausurar a Vic el passat Diumenge, un circuit genial on vaig poder gaudir del ciclocròs en cada gir. Photo by Charlie! 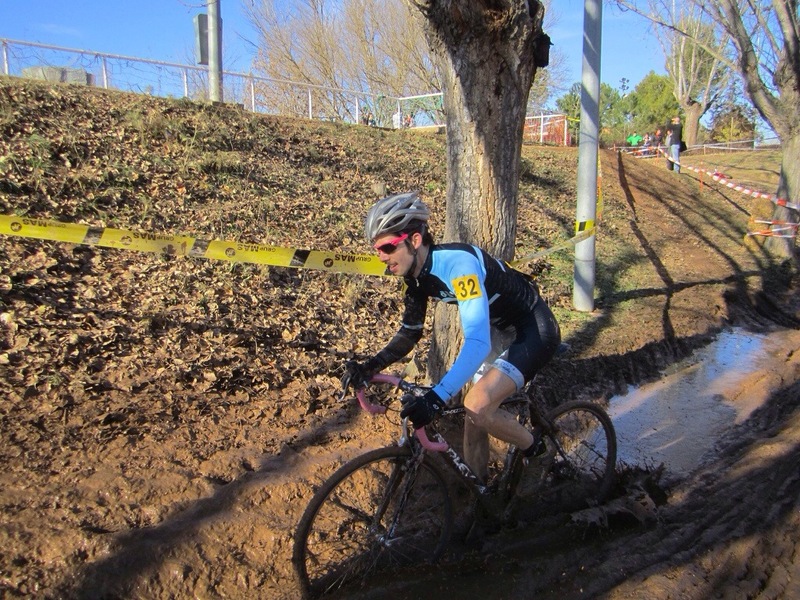 Enjoying a mud bath in the Manresa cyclocross race that was held on Sunday 22th December. In the Manresa race I realized that my shimano xtr m980 pedals aren’t the right choice for muddy terrains, they don’t work. In Manresa We could enjoy a good circuit. However, I wouldn’t add additonal water to certain circuit areas to do the race “more technical”. My last cyclocross season race was in the Vic cyclocross race that was held on Sunday 29th December. In this race we could enjoy one of the best circuits of the Catalan cyclocross calendar. I enjoyed doing cx in each circuit curve.